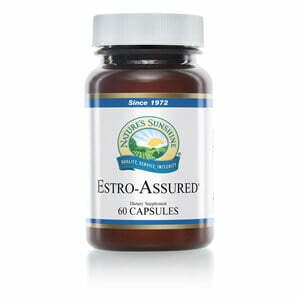 Nature’s Sunshine Breast Assured supports proper breast health as well as other female reproductive organs. The formula combines herbs and nutrients that have antioxidant properties and support the immune system. With its unique blend of flax meal, ellagic acid from pomegranate extract powder, genistein from kudzu extract, maitake mushroom, lutein beads, and calcium d-glucarate, Breast Assured supports a proper level of estrogen in the female body and contains chemo-protective properties. Instructions: Take two or three capsules once daily with a meal. Drink one glass (8 oz) of Nature’s Spring water with the capsules.